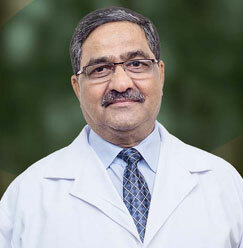 Dr. B.P. 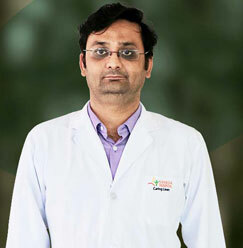 Baruah is a well-known Professor at Sharda Hospital. 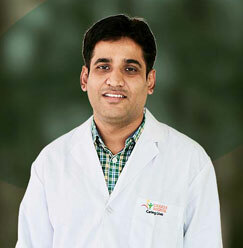 He joined as Professor Radiology (SMS&R) in the year 2013 and is continuing the same. 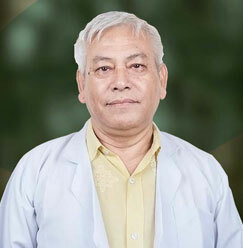 Obtained his MBBS degree from Assam Medical College, Dibrugarh in 1974, he further continued his M.D Radio-diagnosis from AIIMS, New Delhi. 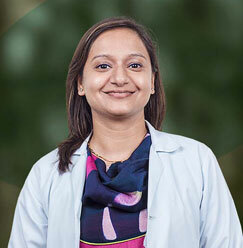 Dr. Baruah also has MNAR Neuro-cardiac Radiology from Rikshospitalet, Oslo, Norway. Due to his excellence in the field of Radio-diagnosis, he was also appointed as an advisor of Radio-diagnosis, Ministry of Health and Family Welfare, Govt. of India. Besides, he has also been an external examiner at Calcutta University, Jodhpur University, Guwahati University, Dibrugarh University. Distinguished Medical Teacher Award. 1992. Swami Vivekananda memorial Oration Award for Diagnostic Research 1992 - 93. Ganesh Shankar Vidvarthi Award. 1993 for outstanding Academic Achievements. Brig. (Dr.) Majumdar Oration Award. 1994. Sir J.C. Bose Oration Award 1996, Highest Award of Indian Radiological & Imaging Association. 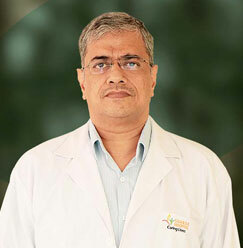 Prithvi Nath Bhargava Memorial National Award 1996 for outstanding Achievement in Medical Sciences. Distinguished Faculty Award by Karnataka State Branch of Indian Radiological & Imaging Association (1995-96). Felicitation & President Appreciation Award by Gem Association, Delhi- 1995. Felicitation for outstanding achievement in Radiology by Aligarh Muslim University Old Boys Association, 1993. Felicitation for outstanding achievement in Medical Sciences by Aligarh Medicos Association, 1995. Doctor\'s Day (B.C. Roy Memorial Day) for writing Book in Hindi; Cancer Ke Tathya. Distinguished Youth Person; by Aligarh Sun Jaycee on 15th Sept. 1984. Rotary Club Aligarh (Rotary International Research Award 1986-87). Maulik Hindi Pushtak Puraskar on His Book & Cancer Ke Tathya; in Hindi Carries a cash Award of Rs. 15000/- & Prashsti Patra, 1997 by Ministry of Health and Family Welfare, Govt of India. Vishisht Chikitsha Medal 1998, by Association of college of Chest Physician of India. Man of the Year. 1997 & 1998 - by American Bio- Graphical Institute, USA in Recognition of contribution and publication & writing books in Hindi & English. Member advisory committee of American Biographical Research institute, USA. Dr. B.C. Roy Award,Govt. of NCT Delhi 1998. GTB Srishtee Award by GTB Times, Dilshad Garden, 2002. Distinguished Service Award-2013-2014 by Delhi State Chapter of Indian Radiological and Imaging Association.